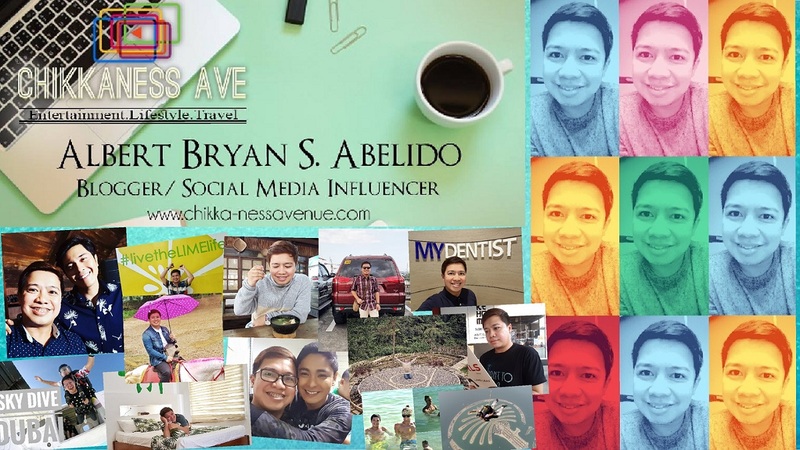 Chikkaness Avenue: Extra! Extra! 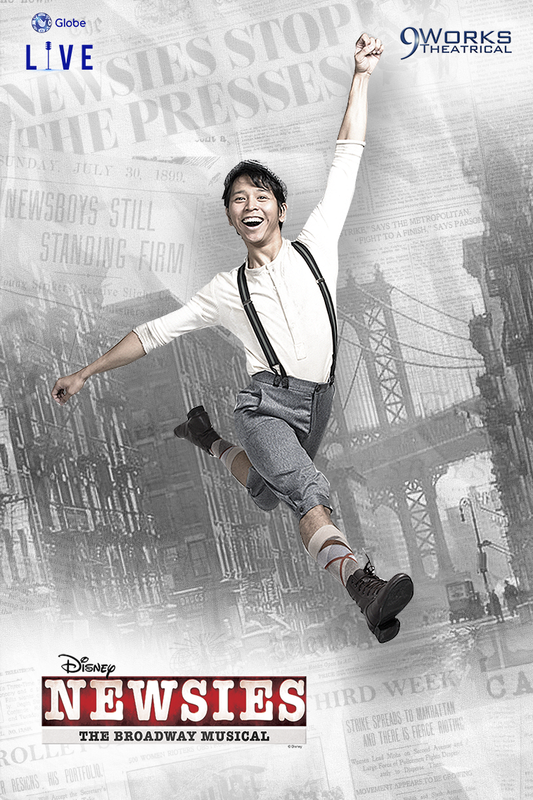 Disney’s Newsies is a high-energy dance musical extravaganza! Extra! Extra! Disney’s Newsies is a high-energy dance musical extravaganza! 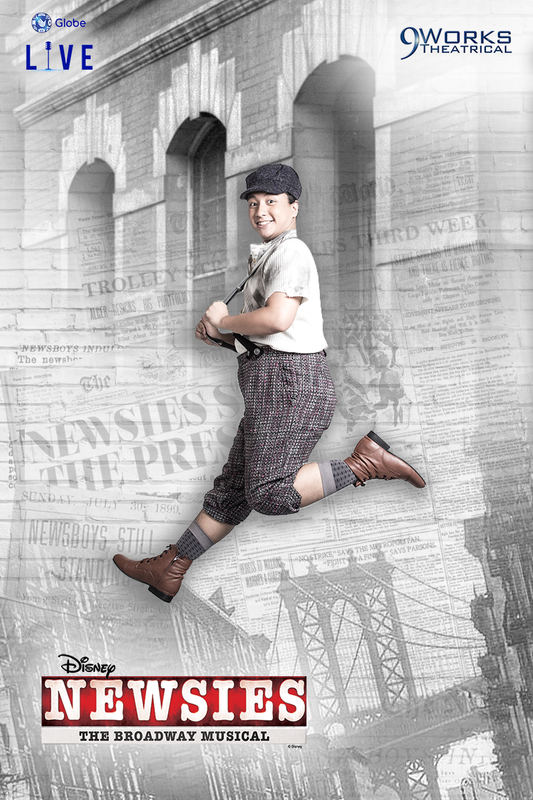 On all weekends of July, the Globe Iconic Store Bonifacio High Street Amphitheater will be the home for one of Disney’s biggest theatrical hits, the 2012 Tony Award winning musical including Best Music, Newsies. 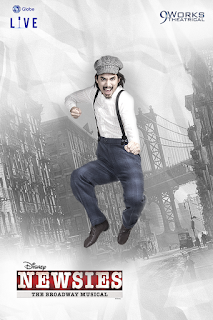 Originally produced on Broadway by Disney Theatrical Productions, this high-energy musical is an adaptation of the 1992 cult hit motion picture (starring Christian Bale) and is inspired by the true events of the “Newsboy Strike of 1899” in New York. With lyrics by Jack Feldman, music by Tony and Oscar winning composer Alan Menken, and book by Harvey Fierstein (La Cage aux Folles), Newsies is another theatrical event brought to you by the country’s number one mobile network through its entertainment arm, Globe Live, and Manila’s premiere theater company, 9 Works Theatrical. 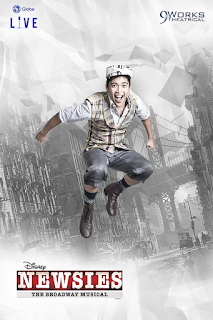 Gawad Buhay award winning choreographer PJ Rebullida, with director Robbie Guevara at the helm, is reimagining the choreography for the Philippine premiere of Newsies. 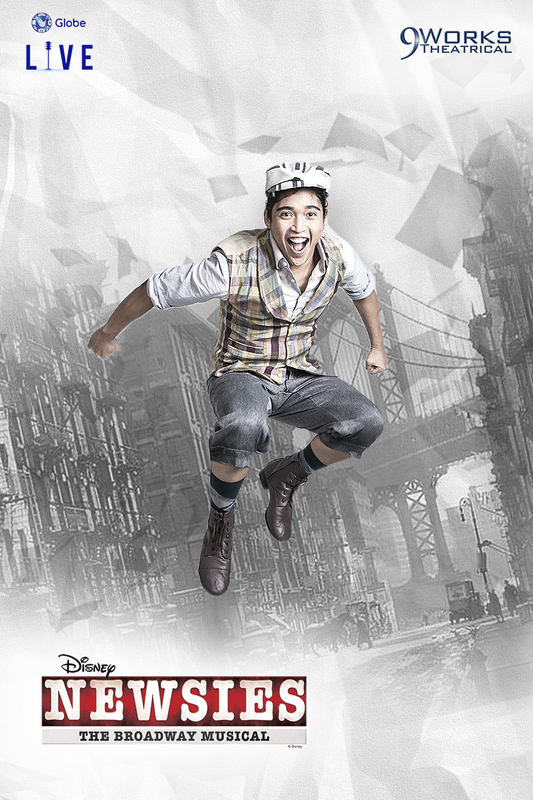 When it comes to choreographing an Alan Menken score, Rebullida says, “He’s a genius. When I listen to the music, the music will tell me to jump. It’s Alan Menken. I can hear the jumps and the pirouettes.” Tying up the movement and making it organic to the story and the setting are what he spent most of the time on when working with his actors during workshops. 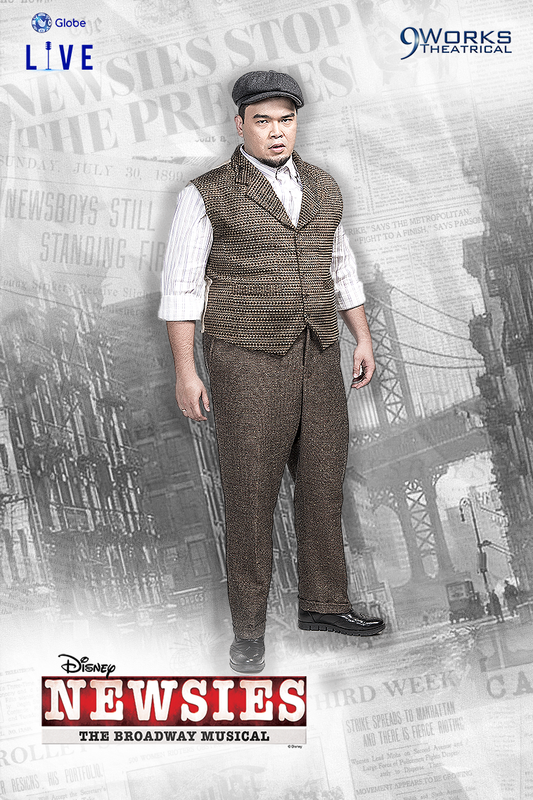 Newsies stars Gian Magdangal, who has just come back from a stint at Hong Kong Disneyland’s The Golden Mickeys and Universal Studios in Japan. 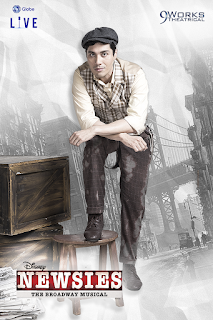 Joining him as part of the newsboys are Jef Flores (recent Gawad Buhay awardee for Outstanding Lead Actor for Tick, Tick…BOOM! ), Daniel Drilon (Secret Garden, Fun Home), Tory Cortez (Hansel and Gretel, A Christmas Carol), Luis Marcelo (Little Shop of Horrors), and Alex Diaz (Singer, Host, Star Magic talent, MYX VJ). Also in the cast are Danielle Chopin (Into the Woods, My Fair Lady), Greg Dulcie (The Wizard of Oz, Sweeney Todd), Pinky Marquez (The Wedding Singer, Beauty and the Beast), and Raymund Concepcion (Annie, The Little Mermaid). Rounding up the cast are Franz Imperial (A Christmas Carol, Shrek), Ariel Reonal (Tick, Tick…BOOM!, Miss Saigon), Joni Galeste (La Cage aux Folles, A Christmas Carol), Melissa Bell (Tokyo Disney Sea, Hong Kong Disneyland), Ian Ocampo (Don Quixote, Carmen), Ronelson Yadao (Ulaging, Romeo and Juliet), Erick Arenas (Mamma Mia, We Will Rock You), Jourdan Bartolome (UP Filipiniana Dance Group), Mark Anthony Grantos (Manhid, Masterpieces), Jim Ferrer (Here Lies Love, Annie), Chesko Rodriguez (American Idiot, La Cage aux Folles), Kendrick Ibasco (American Idiot, A Christmas Carol), Anton Posadas (The King and I, The Sound of Music), Stephen Viñas (Orosman at Zafira, #R</3J), Clark dela Riva (Wizard of Oz, Alice in Wonderland), Jon Abella (Mula Sa Buwan, Orosman at Zafira), MC dela Cruz (Mula Sa Buwan), Vyen Villanueva (Company of Ateneo Dancers) and Jan Mayo (Orosman at Zafira). 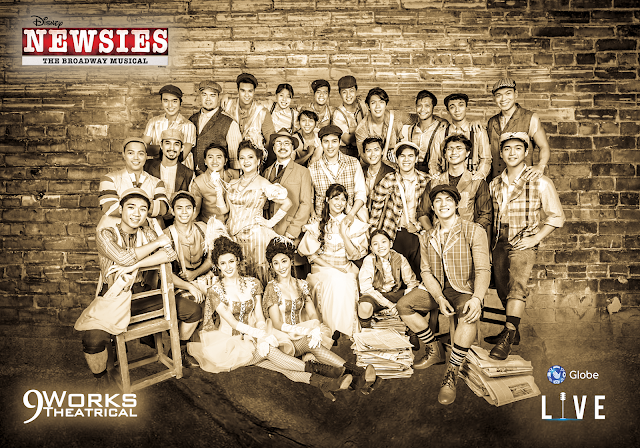 Globe Live and 9 Works Theatrical’s production of Disney’s Newsies is directed by Robbie Guevara, together with PJ Rebullida as choreographer, Franz Imperial as assistant director, Daniel Bartolome as musical director, Yek Barlongay additional choreography for tap, Ed Lacson as set designer, Eric Pineda as costume designer, Martin Esteva as lighting designer, GA Fallarme as video & projection designer, Myrene Santos as hair and makeup designer and Dong Calingacion as technical director. Heading the production team are executive producers Joe Caliro (Globe Live) and Santi Santamaria (9 Works Theatrical), Denise Seva (Globe Live Director for Events and Production), with 9 Works Theatrical’s Anna Santamaria as company manager, Jonjon Martin and Issa Tuason as PR managers, GM Hernandez as marketing manager, and Arma Bonilla as stage manager. Newsies will be staged at the Globe Iconic Store Bonifacio High Street Amphitheater, Bonifacio Global City on July 7-9, 14-16, 21-23 & 28-30, 2017 at 8:00pm. 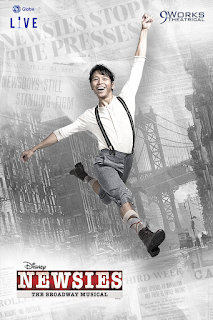 For tickets and more information, go to go.globe.com.ph/newsies, or contact Ticketworld at 891.9999. Facebook: 9WorksTheatrical. Twitter & Instagram: @9WTonline. 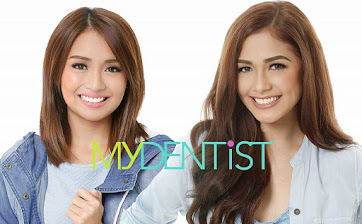 Facebook & YouTube: GlobePH. 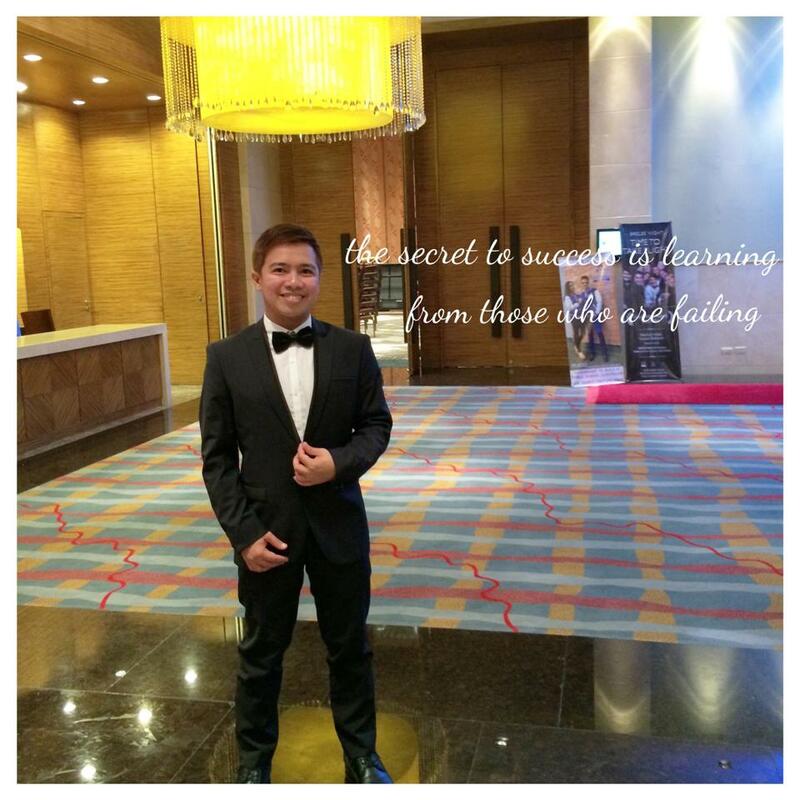 Twitter & Instagram: @enjoyGlobe. 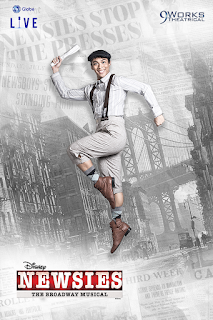 Disney’s Newsies is a production of Globe Live & 9 Works Theatrical, co-presented by FOX and StarWorld, with MAC Cosmetics as the official make-up partner. Special thanks to RX93.1, Bonifacio High Street and Mossimo. Disney’s Newsies is presented through special arrangement with Music Theatre International (MTI).